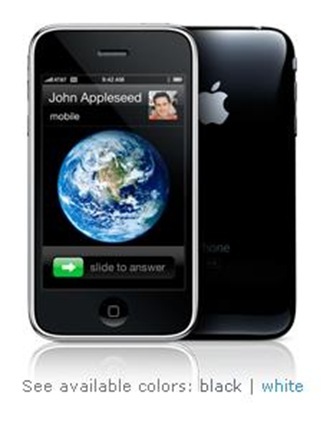 I saw this over at BetaNews, one of my favorite sites; and I just had to comment… The iPhone 3G is nearly sold out. If you don’t have one by now, it could be weeks, or months, before new Direct Fulfillment orders are fulfilled. In the mean time, desperate customers are turning to a tried and true alternative source – eBay. Most sellers are trying to clear a quick profit by selling their own iPhone 3G, hoping to capitalize on the shortage and high demand. However, some sellers have obtained the devices in quantity (between 12 to 50 devices, for example); and it’s unclear how any seller go their hands on so many. While this was possible, and more probable with the original iPhone, AT&T is now requiring iPhone customers to register their purchase against an active or new cell account. Confusing, ain’t it?